An avid perennial gardener, I adore lavender. Its smell is intoxicating, yet relaxing, and I love the silvery feather-like leaves as well as the delicate rows of flowers topping its stems. I planted two lavender bushes right at the gate of my front house, so upon entering, my guests (and I) are treated to the heavenly aroma. 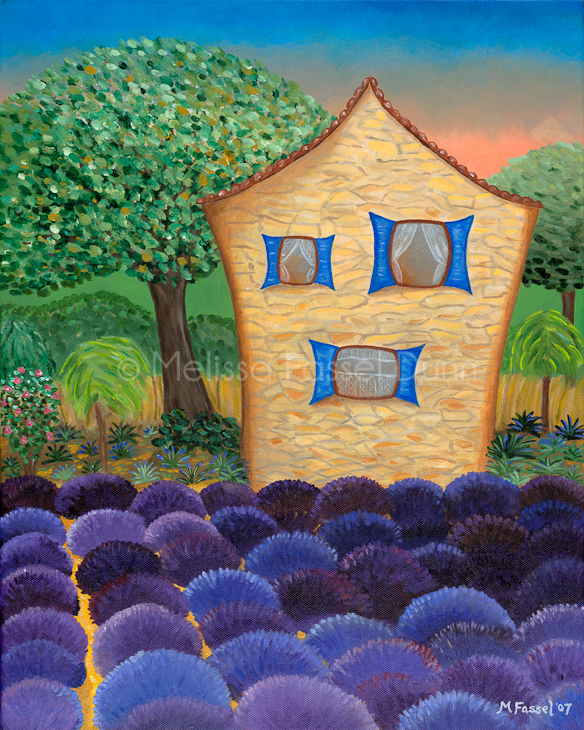 I also happen to like France, as you probably noticed (see Roussillon Church and Cap d’ Antibes), so setting the lavender fields in front of a chateau in Provence just made sense. A print of this would be beautiful in just about any room of your home. It would also make a wonderful hostess gift, combined with some L’Occitane hand soap!